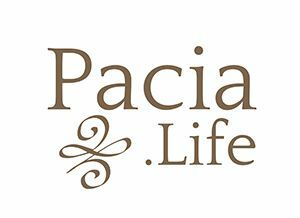 Before training to become a Clinically Informed Life Coach at Pacia Life, Matthew worked in a variety of therapeutic industries starting in 2010. Matthew spent three years as a therapeutic wilderness guide that uses backpacking, canyoneering, rock climbing, mountain biking and skiing as a modality to improve self-efficacy and self-determination from within. Matthew’s experience included at-risk young adults as well as adults on the autism spectrum. Matthew then transitioned to being a Life Coach at a behavioral health clinic, where he worked with addicts for several years, as well as dual diagnosis schizophrenic, borderline, and autistic clients. His Life Coaching through Pacia Life is rooted in modalities that include Adventure Therapy, Self-Efficacy theory, Self-Determination Theory, Grit, Resiliency, job and career choices that lead to a life of passion, as well as community immersion through volunteerism and the arts, and resource-gathering for any student who is seeking guidance. Having grown up primarily in New Hampshire and Michigan, Matthew has traveled all over the Carribean, Central, and South America with Costa Rica, Nicaragua, and Puerto Rico being places he has spent considerable amounts of time. Some of his favorite adventures include sailing around British Columbia in the Puget and Desolation Sound areas.